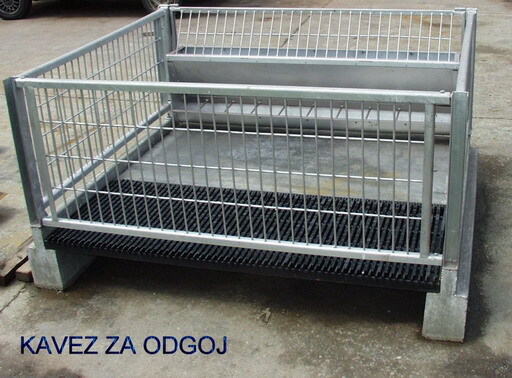 Cages for raising piglets are made according to the technological requirements of the customer and they adapt to its existing technology. 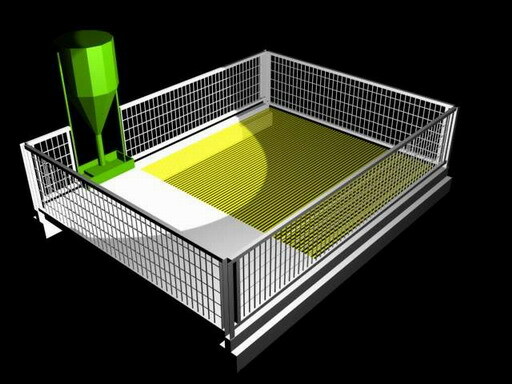 The performance of the cage is such that half the floor of the cage is filled with a heating panel, which is the product of "TERMING", appr. mass of 100 kg, which provides a high degree of heat storage in case of discontinuation of heating. The other half of the floor is a grid made from serrated wire or plastic lamellas. 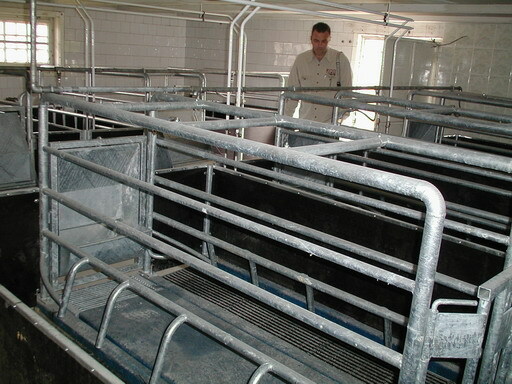 In case of classical cages, where there is a 100% perforated floor, loss of spilled food occur approximately 20-25 g per piglet per day. By placing the underfloor heating panel, food that fall through the floor remains on the board and piglets can pick it up, so the wastage of food is much smaller. The heating system is achieved by hot water and floor temperature reaches up to 35°C in the system of hot water of 60°/40°. With this way of heating a much higher coefficient of utilization of heat is achieved (the accumulation of heat is bigger in the panels themselves), and there is far less heat dissipation in the space so that the ambient temperature is lower. A considerably lower relative humidity is achieved in the building and the concentration of evaporative ammonia is lower, which significantly improves the environmental conditions and provides better microclimate. In case of this type of heating it is not necessary to use any additional heating of the environment.